The Arkansas Health Insurance Exchange, also known as the Arkansas Health Connector, recently released approved rates for individual health insurance plans which will be offered through their health insurance exchange. Plan enrollment will begin on October 1, and the plans will go into effect starting January 1, 2014. Arkansas Insurance Commissioner Jay Bradford announced the approved premiums were as much as 25% below the proposed rates and 10% lower than what forecasters predicted. Together, these four carriers will offer 71 plans on the Exchange. The plans provided by these companies will be available for individuals and families buying insurance directly through the exchange, or through a broker registered with the Exchange. Below is a table provided by the Arkansas Health Connector showing the state average individual health insurance premium rates by age and tobacco use. All health insurance plans offered through the Exchange will be guaranteed issue, and premium rates are only allowed to vary according to age, family size, tobacco use, and region. The above rates do not include discounts via the premium tax subsidies or cost sharing discounts that a large portion of the population will be eligible for. To find out more on tax subsidies see: Individual Health Insurance Premium Subsidies in State Exchanges. 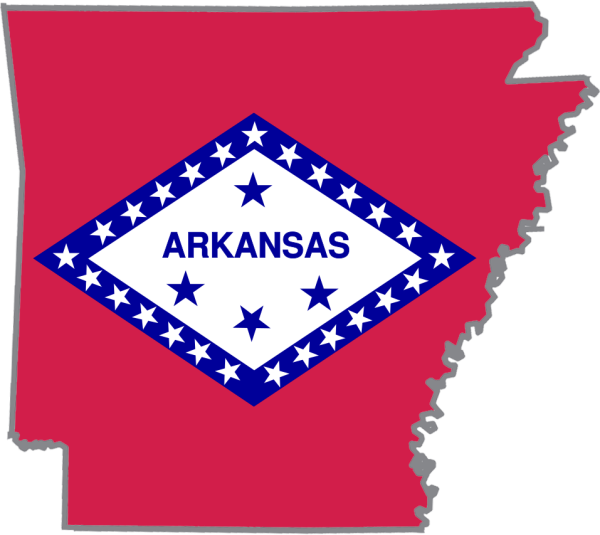 For a full list of rates see: Qualified Health Plan Individual Premium Rates for Arkansas. 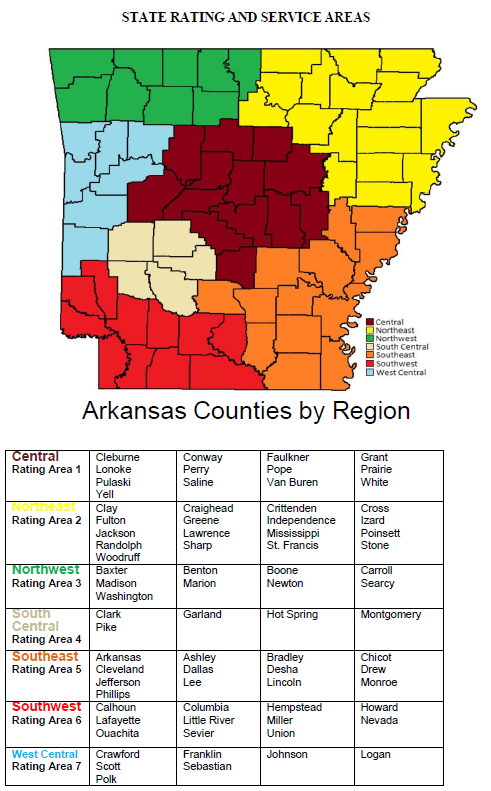 Arkansas will be divided into seven regions for Exchange premium rate purposes. These regions can be seen in the image below. What questions do you have about the Arkansas Health Insurance Exchange rates and carriers? Leave a comment below.